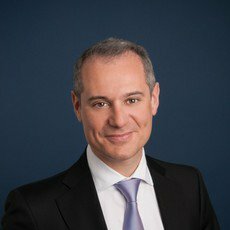 Nicolas Simon is a partner at Van Olmen & Wynant, specialised in employment law, with a focus on psychosocial risks (i.e., harassment, violence), discrimination and privacy issues relating to the use of new technologies in the workplace. He is fluent in French, Dutch and English. Nicolas also has extensive experience as a litigator before the courts. He covers the various aspects of individual employment law, such as employment contracts, service agreements, individual dismissals and self-employment issues, as well as collective labour law, including collective actions and strikes, social security and transfers of undertakings. Furthermore, through secondments with large corporate clients, Nicolas has acquired expertise in matters requiring day-to-day advice, from the perspective of both law firm and client. Nicolas Simon has been a speaker at numerous conferences for the Belgian Institute of Company Lawyers, on various topics such as strikes and lockouts, well-being at work and privacy in the workplace. He is also a regular speaker at in-house client seminars.